Our program has been founded exclusively on the Fleckvieh strain of Fullblood Simmental Genetics—cattle that we feel provide the moderate framed, feed efficient animals required by the industry today. 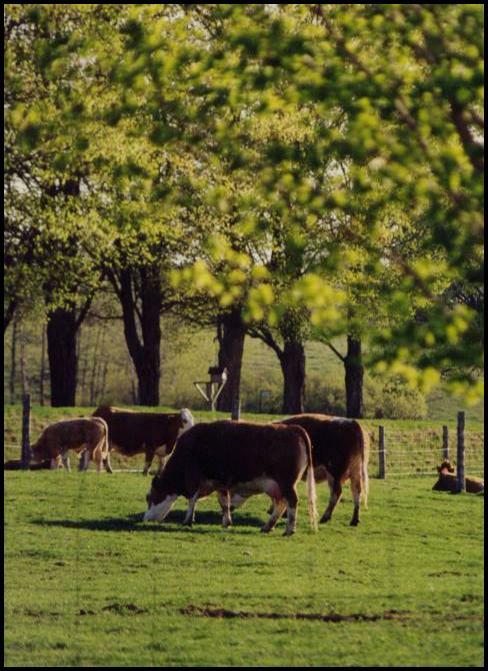 By using Fleckvieh Genetics exclusively, we have been able to establish a nucleus herd that is backed by generations of quality breeding. These consistently superior cattle perform under rugged pasture conditions to ensure their pedigree is backed by performance. Without compromise, we strive to produce genetically superior seed stock that will go out and get the job done year after year. Our long term commitment is to lead to the improvement of the world wide beef industry while adding profit to producer’s bottom line.